Whether you have a little or a lot matters not –every gift counts and can literally save a life. In 2013, an orphanage in Haiti was shut down by local authorities due to the filth and abuse these children experienced while living there. There was no replacement home for these eight young children, meaning these young souls would be left to fend for themselves. This was the first of many callings in my life and what inspired me to open a Children’s Home that started with those eight children and now provides shelter, nourishment, education and health care to 35 children ages 2 months to 15 years. With two recently build houses, we provide a safe, clean, comfortable and healthy environment for physical, intellectual, emotional and spiritual development. A third house now nearing completion will make room for the high population of disadvantaged children who are in desperate need of hope, help, and the basic necessities every human deserves. Two of the most chronic problems in Haiti are high infant mortality and frequent cholera epidemics killing thousands of Haitians annually, both of which are caused by drinking contaminated water. Our first water drilling project in 2010 aimed to remedy this chronic epidemic by providing clean drinking water to the villages in most need. The cost of drilling wells was unsustainable because of what we were paying a drilling company for each well. Children who go to primary public schools are often sent to school on empty stomachs. 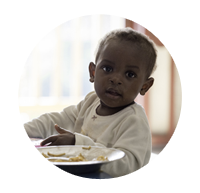 Many children here go without food for up to three days. They often lack the energy to learn because without nourishment, sleep befalls many of them during school hours. 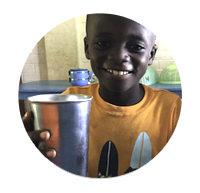 In late 2012, we started providing nutritious meals twice a week for 30 of these children. 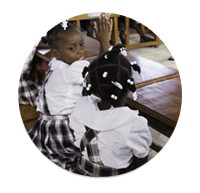 Today, Hopestart International feeds over 850 primary school children five days a week enabling them to stay awake and alert in class, and thus able to acquire the basic education essentials for breaking the cycles of poverty, hunger and despair that has plagued Haitian families for generations. 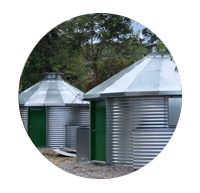 Thanks to one significant donation from [let’s put where this donation came from], Hopestart International has recently been able to acquire a property on which we will soon begin constructing small homes to provide a new beginning for families devastated by natural disasters. Stay connected to our community in Jeremie, Haiti. Subscribe to our newsletter and get updated on our progress, special features on the children and our team.